Rosher supplies a wide range of Kärcher pressure cleaners to suit all domestic and commercial purposes. 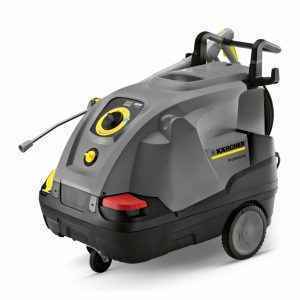 Kärcher pressure washers are convenient to use, and feature state-of-the-art technology. Whether you are looking to clean your car, fleet of trucks, unsightly graffiti or home or office carpets, we’ve got what you need. Machines such as the Kärcher K2 Full Control Home and K3 Full Control Home are built for occasional use, and are ideal for cleaning bicycles, garden tools or garden furniture, and daily dirt around the home. We also offer premium residential pressure cleaners including the K7 Full Control Home & Car, a top of the range, heavy-duty machine, that’s versatile and easy to transport. This pressure cleaner cuts through dirt and grime effortlessly, with high-performance features, and ease of use. The K7 Full Control Home & Car is suitable for frequent use, and removes all types of dirt on all surfaces. 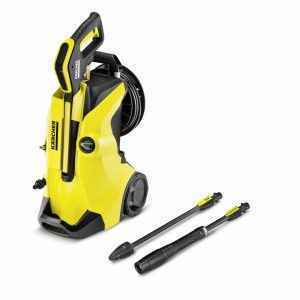 If you are a cleaning company and need the right equipment, contact us. We stock a range of commercial pressure cleaners by Kärcher that improve efficiency and productivity, including petrol pressure cleaners, and mains powered, electric pressure cleaners. Our range of professional high-pressure water cleaners for sale can fulfil a variety of needs in multiple fields. From agriculture, to the crafts trade, industrial sites and municipal land, if it’s a large area that needs cleaning, our cleaners are up to the task. Our cold water pressure cleaners remove dirt from vehicle and buildings quickly and efficiently with a high flow rate, but are less effective on surfaces with oil or grease. Hot water pressure cleaners are perfect for more difficult cleaning jobs and perform event better at the same amount of pressure. Contact Rosher today, and let us advise you on the best Kärcher pressure cleaner for your needs.